Matt Hall of Australia waits for his flight during the finals at the first round of the Red Bull Air Race World Championship at Abu Dhabi, United Arab Emirates on February 9, 2019. 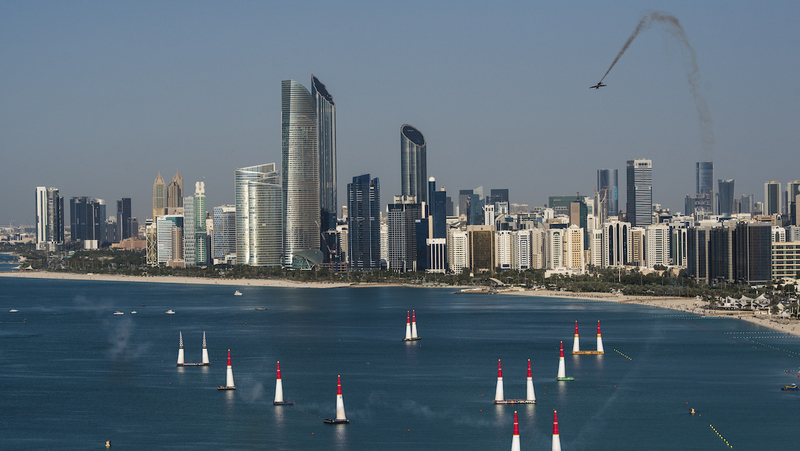 Australia’s Matt Hall has finished fifth in the 2019 Red Bull Air Race World Championship season opener, salvaging the top five position on a day where he was at the mercy of an off-kilter engine and stiff competition in Abu Dhabi, United Arab Emirates. The day was won by 2017 world champion Yoshihide Muroya of Japan, his first race win since he claimed his only world title in Indianapolis in October of that same year. Finishing second was Czech pilot Martin Šonka, the 2018 world champ, while American Michael Goulian was third. For Hall, race day was a rollercoaster of emotion that began with a technical test flight to determine if work to rectify an over-heating engine cylinder had worked. Despite long hours spent troubleshooting the issue, work done to mitigate the lost power proved unsuccessful. 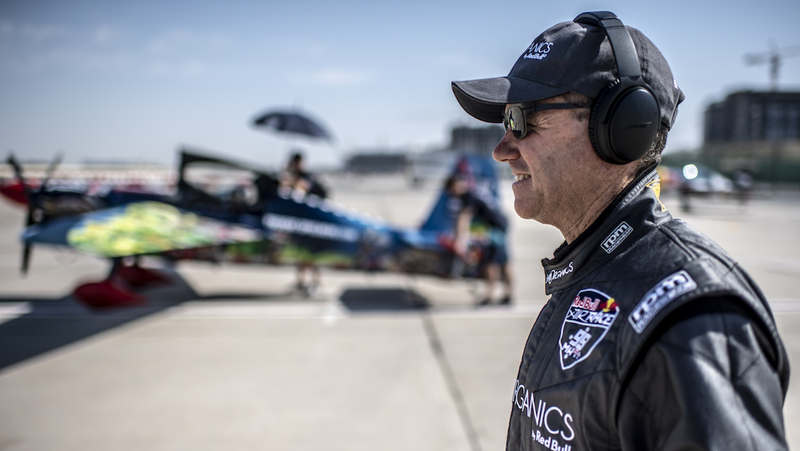 With a known hurdle in his path, Hall and his team put in place a contingency plan that was good enough to beat British pilot Ben Murphy in the head-to-head knockout Round of 14. The backup plan nearly worked a second time when Hall was pitted in a contest against Šonka in the Round of 8, but the Czech pilot edged the Aussie by 0.256 seconds. “We came into today knowing that we had some issues and it was all about trying to nurse the aircraft through the day. In saying that, I was pushing as hard as I could, but the plane is just not happy at the moment. Although the issues encountered by Hall begged the question of ‘what could have been’, Hall remained full of praise for his team, noting that the opportunity to race was almost rescinded early in the day. “It’s mixed emotions for us, as we could’ve not flown today,” Hall deadpanned. “This morning we had to have a discussion about ‘are we actually going to go out there today?’ So, to come in fifth was a great result considering we may have not even started. But it is also disappointing that the team worked so hard and I thought I flew the plane quite well in the Round of 8. 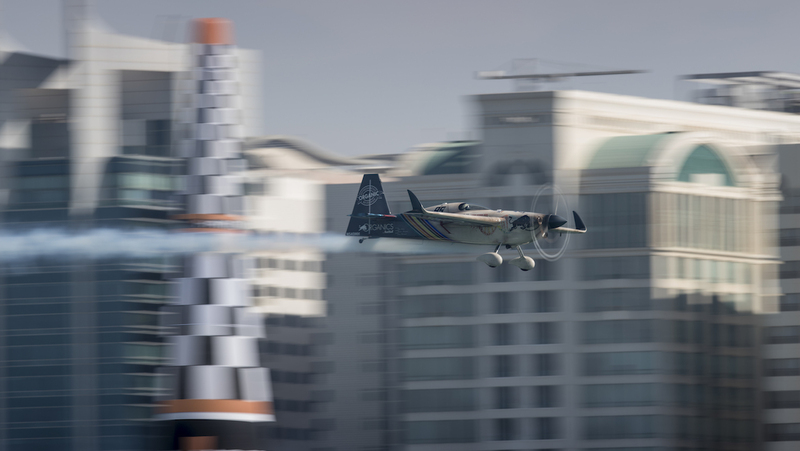 The Red Bull Air Race World Championship will now take a longer break before returning in Europe later this year. Seven races remain in the 2019 season. 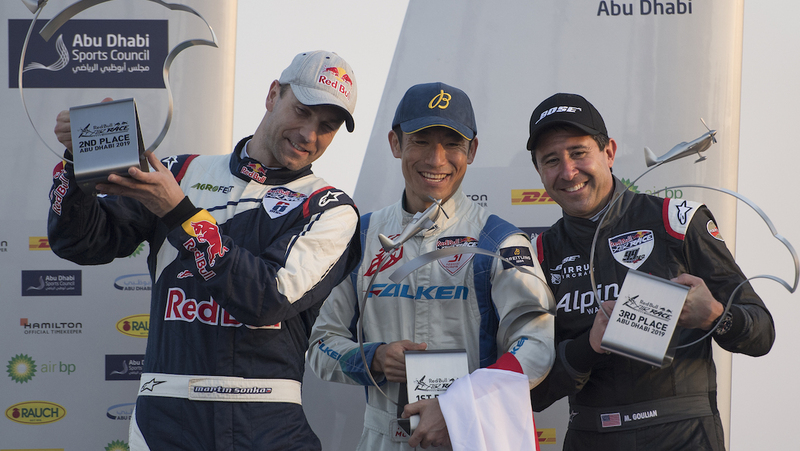 Yoshihide Muroya of Japan (C) celebrates with Martin Sonka of the Czech Republic (L) and Michael Goulian of the United States (R) during the Award Ceremony at the first round of the Red Bull Air Race World Championship at Abu Dhabi, United Arab Emirates on February 9, 2019. VIDEO: Highlights from the first round of the Red Bull Air Race World Championship in Abu Dhabi from the Red Bull Air Race YouTube channel.